Bullseye Learning offers tutoring, enrichment, corporate training, homeschool services and test preparation. Our certified teachers along with our subject-matter experts can help support and strengthen students of all ages including adults with all educational needs. For official contest / promotion rules click here. 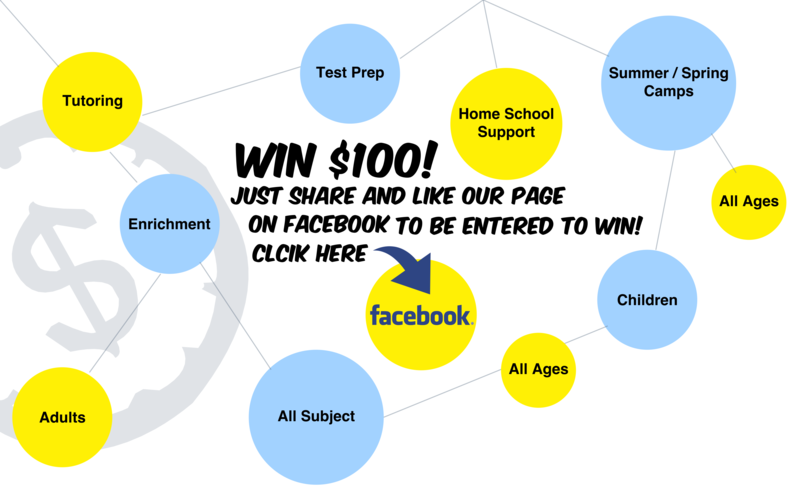 To enter the contest/ promotion to WIN $100.00 US dollars you must be a US resident and at least 13 years of age, have an active Facebook account, Like and Share or have previously Liked and shared our page on Facebook at https://www.facebook.com/bullseyelearning. Contest/promotion starts Saturday January 5th 2019 at 7:01:00 PM. EST. Ending on Thursday February 7th 2019 at 11:59:59 PM. EST. For there to be a winner of this contest/promotion a minimum of 15 people must enter. This contest/ promotion is in no way sponsored, endorsed or administered by, or associated with Facebook. Winner will be announced on Friday February 8th 2019 before 11:59:59 PM. EST. Winner will be contacted via Facebook and sent a verification code and will have 10 days to respond/ contact Bullseye Learning via Email: kate@bullseyelearning.com, Phone: 813-421-0647 or Post Mail: P.O. Box 3573 Brandon, FL 33509 to claim prize by providing verification code. Prize will be sent via US mail in the form of a check in the amount of $100.00 to the winners given mailing address with in 30 days of winner verification. There can only be one winner for this contest/ promotion in total.